Is Samsung preparing to enter the wellness tracker arena? Judging by a cryptic tweet from one notorious gadget leaker, the Korean giant might just be. @evleaks reckons, "Samsung is working on a device codenamed K Sport." Now that doesn't require a huge leap of faith to join the dots and suggest the company is working on a health-centric wearable akin to the Nike FuelBand SE, Adidas Smart Run or Jawbone Up. Unfortunately, the web's most prolific information hound did not reveal any specific details regarding what the device may entail, so we're left to use our imaginations. 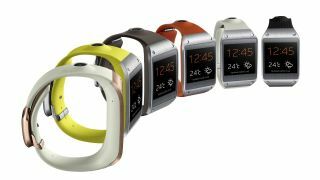 Samsung's only previous venture into wearables was the Galaxy Gear smartwatch, which arrived amid huge expectations but has so far proved to be massive critical and commercial flop for the company. Should a more focused device be in the works for Samsung it's entirely possibly it may see the light of day at the company's Unpacked event during Mobile World Congress 2014, scheduled for February 24. There the company is widely expected to unleash the flagship Samsung Galaxy S5, so the introduction of a new fitness tracker as an accoutrement certainly wouldn't be out of place. What would you hope to see from a Samsung wellness tracker? Let us know your thoughts in the comments section below. Got giant hands? Check out or Samsung Galaxy Note 3 review.